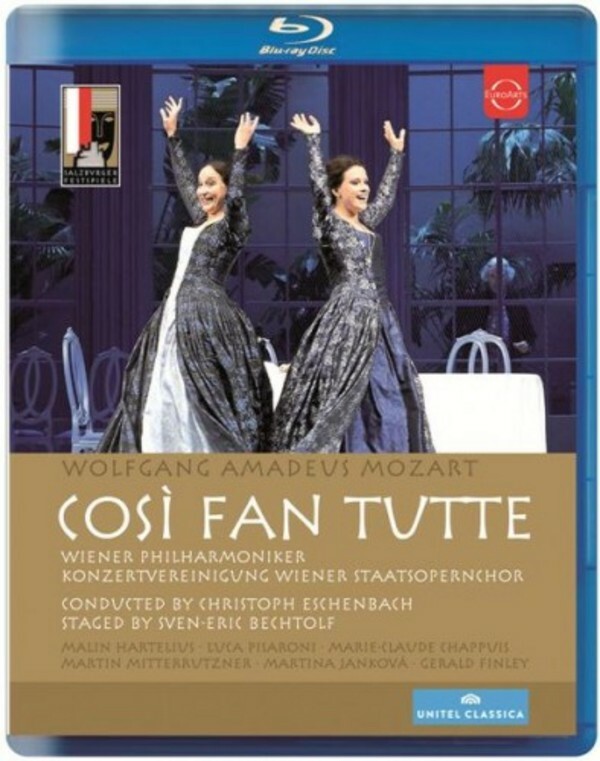 Staged by Sven-Eric Bechtolf, this Così Fan Tutte is true to text, humorous and precise, and its classically aesthetic interpretation is good for "a whole lot of laughs" (Münchner Merkur). The fresh ensemble gives its all on stage: Gerald Finley as Don Alfonso, exercising his "noble, supple baritone"(Salzburger Nachrichten) - the New York Times rates him "outstanding". The two sisters Fiordiligi and Dorabella, come across well: "a feast of fine voices … special praise for Malin Hartelius as Fiordiligi and Marie-Claude Chappuisas Dorabella" writes the Donaukurier. Luca Pisaroni, "the world's most sought after Guglielmo" (New York Times) enchants with the "splendid timbres of his sonorous and colourful baritone" (Frankfurter Allgemeine Zeitung), while Martin Mitterrutzner as Ferrando "dispatched all three arias with ease” (New York Times). The Vienna Philharmonic, for the first time in a Salzburg Festival opera production, is conducted by Christoph Eschenbach, whose interpretation ensures "drive and sharp dynamic contrast" (Frankfurter Allgemeine Zeitung) and "dramatic outbursts" in the orchestra pit (Der Standard).